Would you like to win a copy of Drunk, Divorced and Covered in Cat Hair by Laurie Perry (a.k.a. Crazy Aunt Purl)? Maybe I will even throw in some yarn...mwah ha ha Randomly drawn winner on Oct 7th. Please e-mail your entry to me directly at sdreifuss[AT]msn[DOT]com. 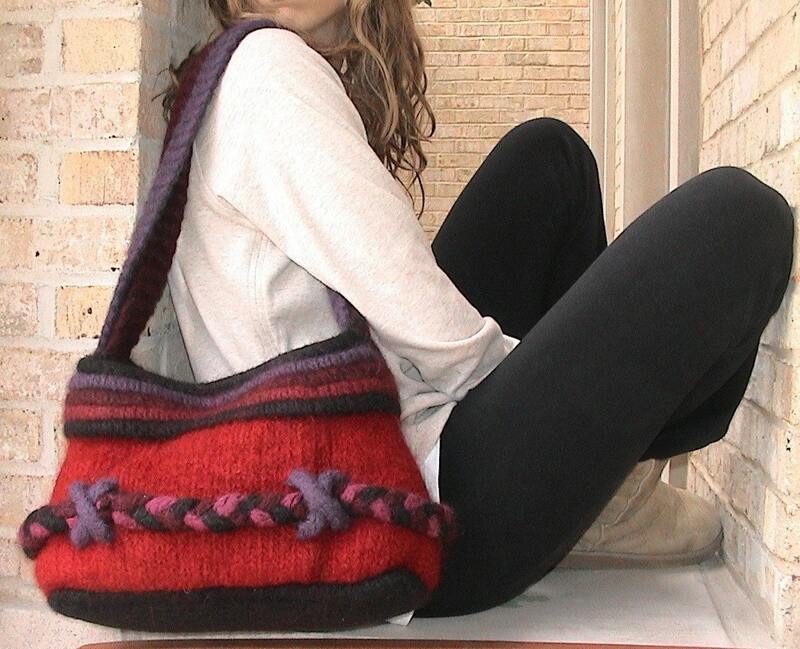 Please send me a comment with your favorite item you have ever knit that you REALLY wear or use. You know, something that you might even knit again. Let's here it...there are too mnay of us knitting things we aren't happy with...I would love to hear what you actually HAVE been HAPPY with. The Rainey Sisters blog. Check out the Silver Belle that she is feeling meh about! These are some talented sisters. That is a beautiful bag Ruby designed. Wow!